BMW Group manufactures the Mini in the Netherlands and Austria as well as at its Oxford plant in the UK, shown. FRANKFURT -- BMW CEO Harald Krueger said the automaker is not under pressure to decide about making further investments in its Mini factory in Oxford until the UK has concluded negotiations about leaving the European Union. "At BMW Group decisions about investments are not due at the moment. This is why we can await the outcome of negotiations," Harald Krueger told journalists on a call to discuss third-quarter earnings. BMW Group, which owns the Mini and Rolls-Royce brands, manufactures the Mini in the Netherlands, Austria as well as in the UK and could shift its production footprint if the EU imposed unfavorable tariffs. 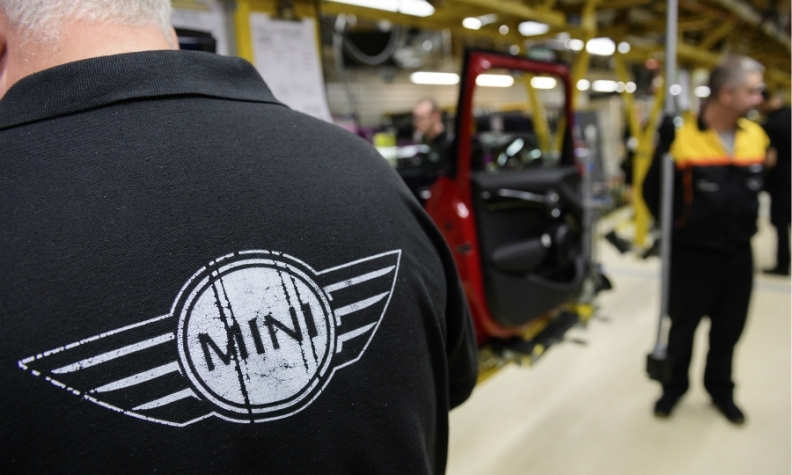 Krueger's comments mirror those of BMW Group production chief Oliver Zipse, who last week said there was no need to decide yet whether the vote was a reason to shift Mini manufacturing away from the UK to other locations in Europe. The UK's vote in June to leave the European Union has raised doubts on whether it can keep tariff-free access to the European common market, prompting carmaker Nissan Motor Co. to seek guarantees from the government before it agreed to keep production in the UK. Upon being asked whether BMW too would seek guarantees from the UK, Krueger said he was not familiar with the guarantees given to Nissan and reiterated that no decision about investments are due in the short term.